There are various reasons for asking guidance from the angelic realm. Here are some simple steps to follow if you want to ask for assistance. If you are ready to receive what you want, set the desire in motion by setting an intention. Be clear about what you are asking for and focus on what you want. Avoid focusing on any outcomes as the spiritual realm offers guidance beyond our perception. Either speak or write your intention once or twice and then let it go. If you need assistance in any aspect of life, ask directly to receive the help you need. The angels are there to help us but they cannot determine what we want or need unless we ask. If you are feeling uninspired or are unsure about the direction your life needs to take, specifically ask the angels to provide you with inspiration and clarity so you can take the right action. Having faith is part of surrender. The angels can help you align with your higher purpose, but you must let go of expectations and limitations. Believe that angels will support and assist you when you let go and give them the opportunity to act towards your higher good. Believe it will happen. You do not need to specify the name of an angel when asking for help, but if it helps with the process of communication, there are angels that are aligned with specific needs. There is a hierarchy that exists within the angelic realm but it we can understand the basic roles of the angels, we will know whom to seek when we need help. Each of us has a primary guardian angel that is with us throughout our lifetime. Other angels may come and go as our life needs change, but the primary angel never leaves us. If you listen closely, you can make a connection and learn to recognize what signs and signals are part of the special bond between you and your angels. Archangels help humanity and are perceived to be at a higher elevation than our guardian angels. There are several archangels that can be called upon for help with specific issues. Here are a few of our favourites. Known as the leader of the Archangels, Michael’s name means ‘Who is LIke God’. Call on Michael when you need protection as well as help releasing negative energy and self doubt. Michael is the patron angel of righteousness, mercy and justice. As the leader of the angels, Gabriel’s name means ‘God is my strength’. Call on Gabriel if you need help with communication on any level. Enhancing psychic abilities and vision are some of the gifts Gabriel inspires. She acts as a messenger of God for writers, teachers and artists and supports children, pregnancy and childbirth. Uriel helps to remove obstacles that leave you emotionally, physically or financially drained. As the leader of the Seraphim band of angels, his name means ‘God is my light’. If you need to make clear decisions or release hurt and inspire forgiveness, call on Uriel. Raphael’s name means ‘Whom God heals’ and his beautiful, gentle green energy is good for healing physically and emotionally. When there is need for healing, call on Raphael. He can assist healers in their healing practice and can help reduce addictions and cravings. As the patron angel of travellers, he watches over us to ensure safe journeys. The patron saint of animals and the environment, Archangel Ariel’s name means ‘lion or lioness of God’. Her role is to protect the earth, wildlife and injured animals. Archangel Azrael’s name means ‘Whom God helps’. He is often known as the ‘Angel of Death’ as he helps souls transition into their new journey. He also helps loved ones dealing with grief and loss. Azrael can also help with many of life’s transitions. 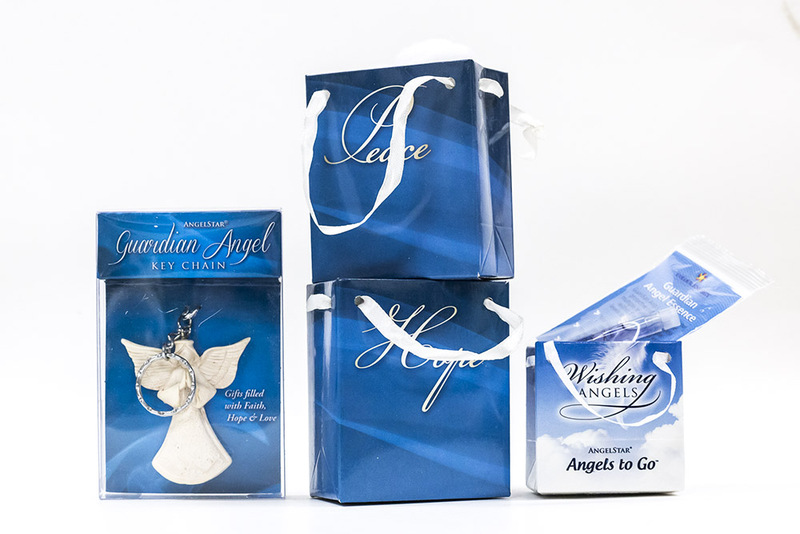 These are a few of the angels which we can summon to help us in life, however you may wish to explore many of the angels that work with us in spirit. We have a large section devoted to angels which includes books, oracles and other information you might find helpful. In addition, we have readers in the store who access the energy of the angels in their readings. Their connection to the angels can provide insight, compassion and guidance to help you on your way.